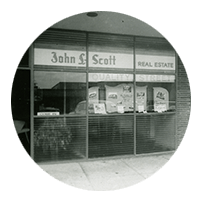 The vision of John L. Scott Real Estate started over 85 years ago when a young Scottish immigrant named John L. Scott set out on a long journey to San Diego, California with his bride and infant son. The trip included a stop in the burgeoning city of Seattle, Washington where John L. later recalled, “It was like reaching City Beautiful in Pilgrim’s Progress.” Seattle, not San Diego, would become the Scott family’s new home. Once the family was settled, John L. began working as a sales associate for a local real estate company. 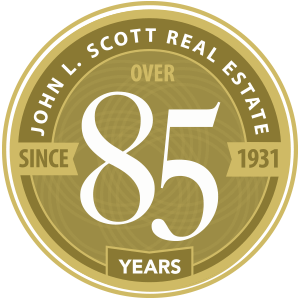 In 1931, he established John L. Scott Real Estate, which has become one of the largest and most successful regional real estate companies in the nation. It now operates over 100 offices with over 3,000 agents throughout Washington, Oregon, Idaho, and now California. 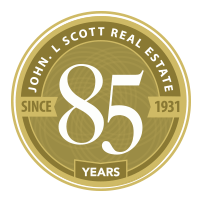 John L. Scott Real Estate is currently led by Chairman and CEO, J. Lennox Scott, John L.’s Grandson, who started working with the company as a sign painter when he was just ten years old. Thirteen years later, Lennox assumed leadership of the company. At John L. Scott Real Estate, our full-time, full-service residential specialists are your trusted advisors and have your best interests at heart because we focus on relationships rather than transactions. That's why we've been in the business for over 85 years, with over 100 offices and 3,000 agents ready to represent you in your next real estate transaction. Although online and mobile access to information on homes for sale, home value estimates, and research tools have become the norm, understanding the market and navigating the process of buying or selling a home is still complex. It's more important than ever to work with a real estate professional who has a level of expertise that goes beyond what a mobile app, online video, or website can do. At John L. Scott Real Estate we take pride in offering areas of expertise that most clients don't even consider. For example, most buyers search for a home without taking into consideration the various market conditions that can affect the entire purchase process. Market seasonality, the backlog of buyers (also known as the competition), and an analysis of recent comparable sales all factor into an offer and acceptance strategy. One of the top three things that clients want most from their Realtor® is help with negotiations. Many people think they're good at negotiating but oftentimes their experience is in haggling or bargaining, which is different than the art of negotiating. Keep in mind that typically, both buyers and sellers are emotionally invested. When it comes to something so deeply personal as a home, the importance of having a professional negotiation expert working for you is invaluable. John L. Scott Real Estate Specialists understand that negotiation is both a skill-set as well as a mindset that helps a conversation transform into an agreement that’s a win for all parties. You definitely don't want to enlist the services of any real estate licensee whose only tactic is to split the difference and settle in the middle every time. So be sure to contact your John L. Scott Residential Specialist for your next transaction. At John L. Scott Real Estate, we aim for transactional excellence with every home sale. What this means for our clients is that our professionals coordinate every detail of the real estate transaction. From the moment an offer has been mutually accepted by the buyer and the seller, our residential real estate specialists monitor the various inspections, appraisals, title, escrow, and loan processes. They communicate and collaborate with all the partners and parties involved with the transaction to ensure a smooth closing. These are the types of details that often separate those who simply have a real estate license and John L. Scott Residential Specialists who are committed to the process of transactional excellence. We know you have plenty of personal matters to consider during a real estate transaction, and we want to make your journey to closing day as stress-free as possible. J. Lennox Scott is the Chairman and CEO of John L. Scott Real Estate. He became company president and CEO in 1980, transitioning to Chairman and CEO in 2002. Lennox is the third generation to run the family business, which was founded by his grandfather in 1931. Lennox is actively involved in the John L. Scott Foundation, which supports local Children’s Hospitals and children’s health care throughout the Pacific Northwest. 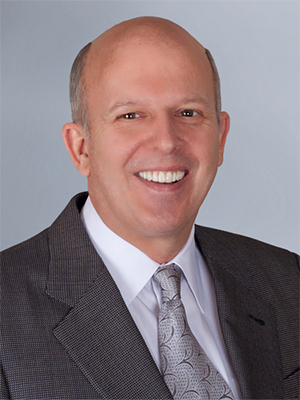 Phil McBride was appointed to Chief Operating Officer of John L. Scott Real Estate in July 2014. 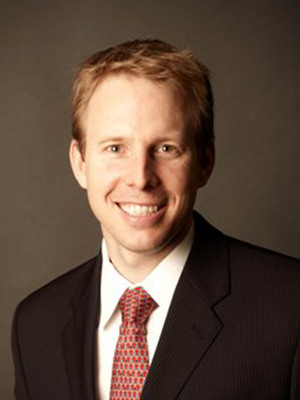 He joined John L. Scott in 2007 as its Chief Financial Officer. 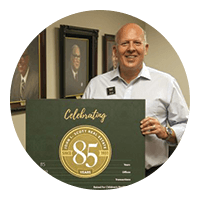 During the past 30 years, Phil has led the financial management of several notable real estate companies, including Coldwell Banker and the Fred Sands Companies, where he was credited with increasing both financial success and market share. As John L. Scott’s senior executive, Phil is responsible for managing the company's financial policies, practices, and procedures, as well as operational oversight of the Finance, Human Resources, Legal, IT and Facilities departments. Phil also holds a seat on the Board of Directors of the John L. Scott Foundation. 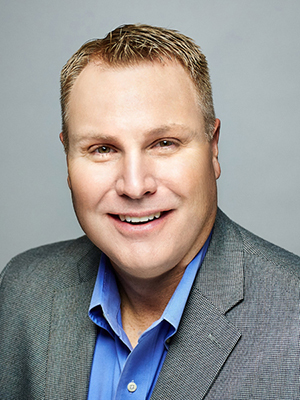 Jon Hunter joined John L. Scott Real Estate in 1998 after graduating from the University of Washington with a Bachelor’s of Science in Cell and Molecular Biology. Jon began his career with John L. Scott as an office manager before becoming a successful sales broker. He has represented Vulcan in four projects and 450+ new residential units, mentored dozens of brokers, and managed eight John L. Scott offices. As Vice President of Residential Success, he is responsible for all company-owned office operations, overseeing strategic growth, production, personnel, program and implementation, and profitability. 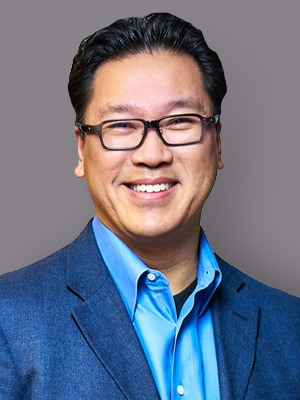 Howard Chung has been affiliated with John L. Scott Real Estate since 2003, first as broker/owner of the Mukilteo, Wash., office, then as Vice President of Residential Operations and Vice President of Broker Excellence. Howard brings more than 20 years of experience in real estate coaching, leadership and technology systems to his current role. As Vice President of John L. Scott’s Real Estate Affiliates, he is responsible for the growth and operational excellence of the next generation of real estate franchisees. 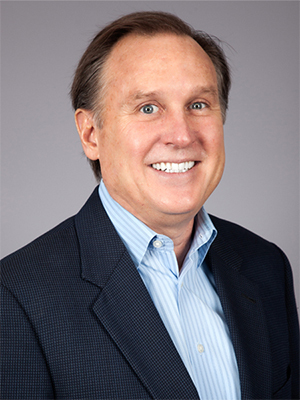 Barry Matheny has many years of widely varied experience in real estate and relocation, following a very successful 25-year career as a VP of Sales/General Manager for a national communications company. After several years as a real estate professional and associate broker, Barry was appointed Director of eBusiness for John L. Scott. He is currently Vice President of Business Development overseeing the Relocation and eBusiness Departments. 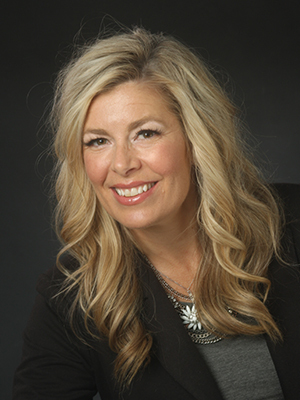 Jennifer Lind has been part of the John L. Scott family since 2003. She has worked as a broker, mentor, trainer, manager, and owner. Her passion and dedication is centered around building relationships and making an impact in the lives and business of others. 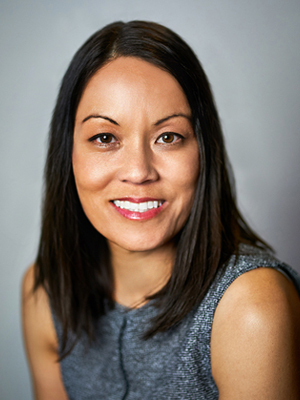 As Vice President of Business Strategy, Jennifer works collaboratively with the leadership team to create successful offices and promote the John L. Scott culture. Strategic growth is one her top initiatives in order to attract the next generation of successful real estate brokers. Jennifer is also very involved in the Association of REALTORS® as an executive on her local board as well as a director on the state level. 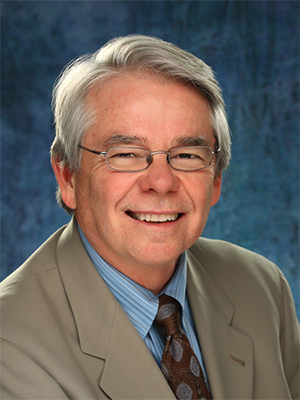 Scott Halligan joined John L. Scott in 2015. He brings more than 20 years of real estate experience in business and office management, ownership, residential and commercial sales, property management, joint venture partnerships, and commercial development projects. He is actively involved in REALTOR® advocacy efforts and committees on the local, state and national level, including: Past-President, Central Oregon Association of REALTORS®. As Vice President, Scott oversees Residential Operations for all company-owned offices in Oregon and SW Washington. Teresa joined John L. Scott in 2017 as the Chief Information Officer. She obtained an MBA, Bachelor's in Science in Chemistry, and holds PMP, Six Sigma, and ITIL certifications. Teresa has held leadership positions across several industries ranging from pharmaceutical to non-profit and brings expertise in building and transforming Information Technology departments. As Chief Information Officer, Teresa is responsible for defining and executing John L. Scott's technology innovations and business solutions. Jeff Cohen joined the John L. Scott Career Development Center in 2005, bringing 15 years of real estate experience as a licensed broker, manager, and owner. Currently Vice President of Professional Achievement, he is dedicated to the company’s success with focus on the development of each individual broker. Jeff now oversees the Career Development Center, including the John L. Scott Institute and Career Activator, along with contributing to the implementation of new company programs and initiatives through live workshops and webinars. 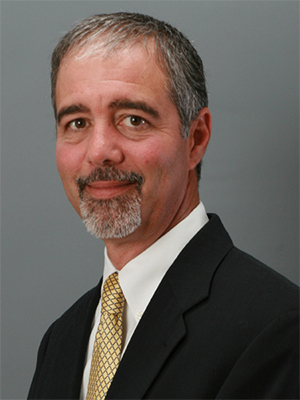 Emmanuel Fonte joined John L. Scott Real Estate in 2005. He has served as Area Resource Manager for the Seattle Metro area, as Assistant Manager for Bellevue and the Issaquah offices. He spent five years as the Program Manager of Broker Excellence, and three years as Director of Ultimate Client Relationship®. The common thread throughout Emmanuel’s deep experience is that he has always been and will continue to be all about relationships. 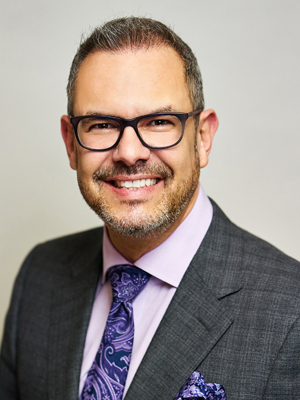 As Vice President of Ultimate Client Relationship® and Digital Strategies, Emmanuel’s mission is to integrate technology into the lead generation process and then oversee conversion through relationship building and personal communications in order to create an experience that cannot be commoditized. 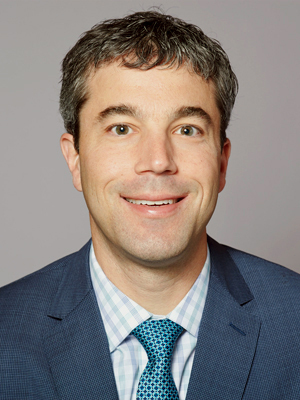 Andy Mathews has been the General Counsel of John L. Scott since October of 2018. Andy came to the company with 15 years of experience helping sophisticated business organizations navigate complex legal issues. 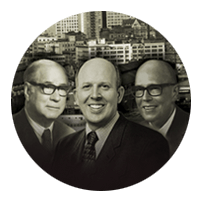 Immediately before joining John L. Scott, Andy was the General Counsel of American Management Services, a Seattle-based national property management company. And prior to that, he was a commercial litigation attorney at the international law firm Reed Smith, LLP in Chicago, where he represented clients in a wide variety of industries. As General Counsel of John L. Scott, Andy oversees legal issues in all departments, and provides pragmatic and outcomes-oriented counsel to all levels of the company, from senior executive leadership to branch managers and brokers.